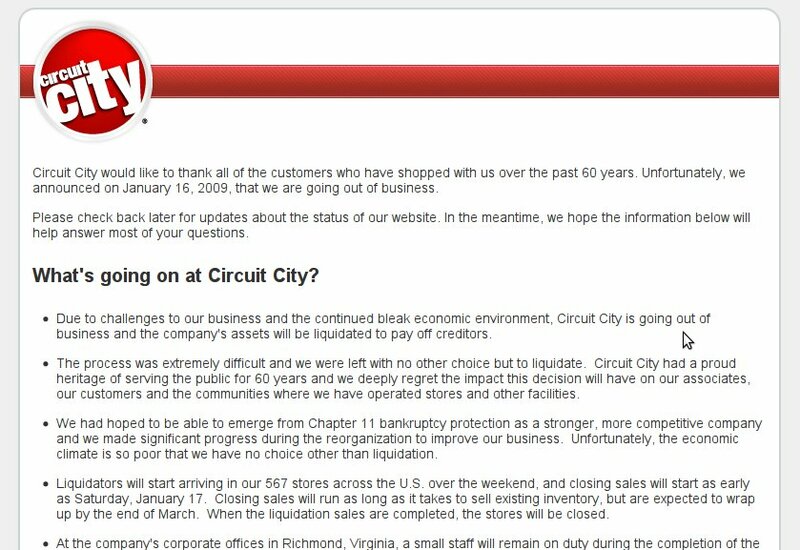 In a somewhat shocking and depressing press release from the Circuit City headquarters in Richmond, VA yesterday, it was announced that the electronics retailer was officially going out of business and liquidating all of its assets. The Web site is already offline, displaying nothing but a message about the closing. I’m not sure if the Web site will come back to be part of the liquidation process, or if it is truly gone.